We’ve all heard the concerns about children spending too much time playing computer games and watching TV. While it’s hard to avoid these modern day “toys”, we are strong believers that children should still get some playtime away from technology every day. Giving children a less structured form of entertainment will not only encourage learning and creativity, but it will also help them to better deal with real world situations and environments. 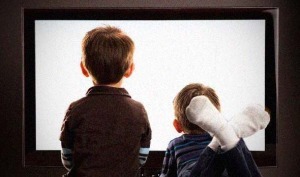 Children who spend time away from television and computers are shown to be more socially aware, respond more positively to new or difficult environments, perform better in structured education, and have improved communication and people skills. While this may not be come as a surprise to most of us, many parents do not actively encourage their children to spend playtime learning away from any screens. While some children are stubborn and will fight to stay with their precious computer or TV, we must not be discouraged by this. 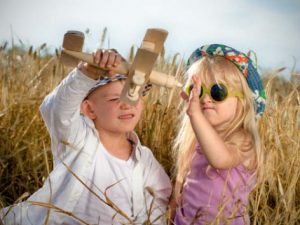 Generally, once kids are pried away from technology they manage to have a great time playing with toys that can educate them doing something that tests their cognitive capabilities and encourages learning and growth. Educational toys have been found to really enhance kids’ development in their early years. By giving children stimuli to help advance their mental capabilities from an early age you can make a big difference to their future. Studies have shown that children who are encouraged to play with toys that promote cognitive growth, perform better in school and are better at critical thinking. Social development is also promoted through interaction with other people and the environment; something that isn’t possible from in front of a screen. These toys can be as simple as sticks and rocks found in your backyards, which encourage creativity through the use of imagination or as modern and fancy as these toys designed for education. The choice of what you want your children to play with is up to you, but by getting them out of the house, or at least away from repeat episodes of The Wiggles, you are helping them build a foundation for a better future. We cannot stress enough the importance of giving your kids some time to play with real toys each day. While they may argue to stay inside in front of the “idiot box” initially, you can rest assured that once they get playing with something that stimulates their creative side and imagination, you’ll have trouble getting them to come back in for dinner. As a parent you always want what’s best for your child. Education is not always going to be fun for them, especially in their later years, but while they are toddlers or young children it is easy to give them the tools they need as they grow into little people. This is an opportunity you don’t want to miss out on. Where are your children now? If they’re not already playing outside or with stimulating educational toys, you know what to do!